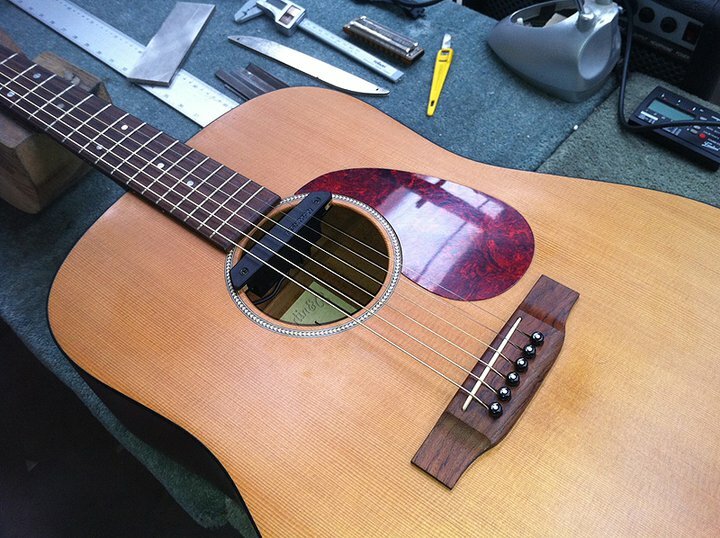 On the workbench today is a 1997 Martin DM – in for a Fishman pickup upgrade. 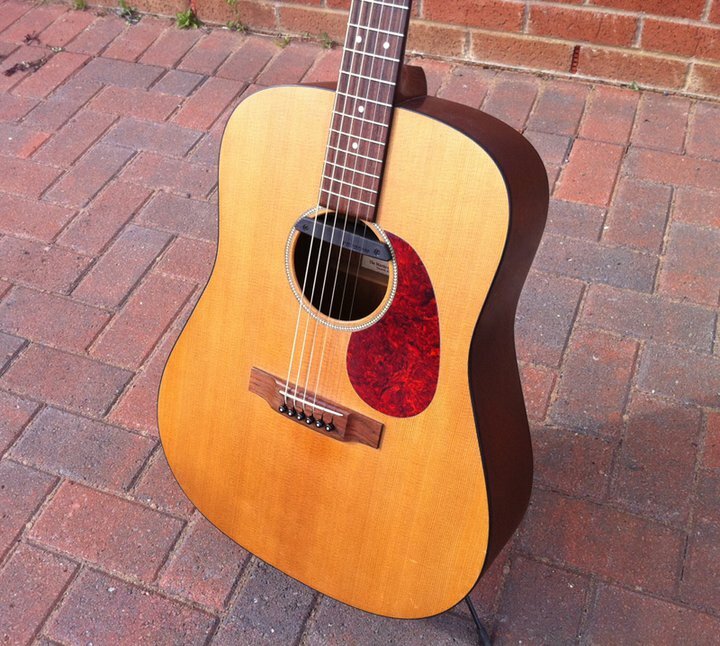 Very nice solid Sitka Spruce top, the rest of the body is laminated Mahogany. 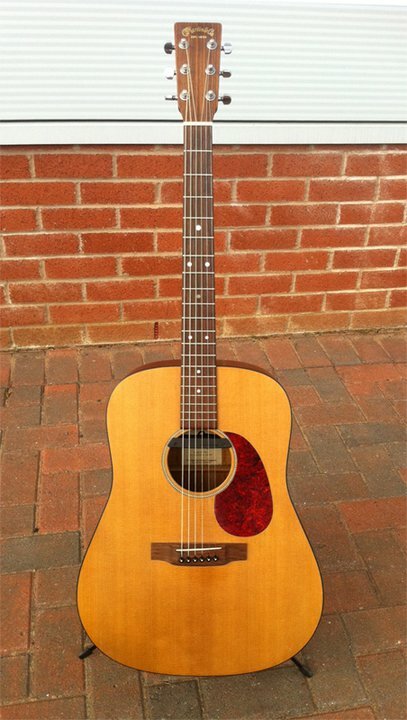 The Martin DMs have a beautiful, bright sound with plenty of acoustic volume without amplification. 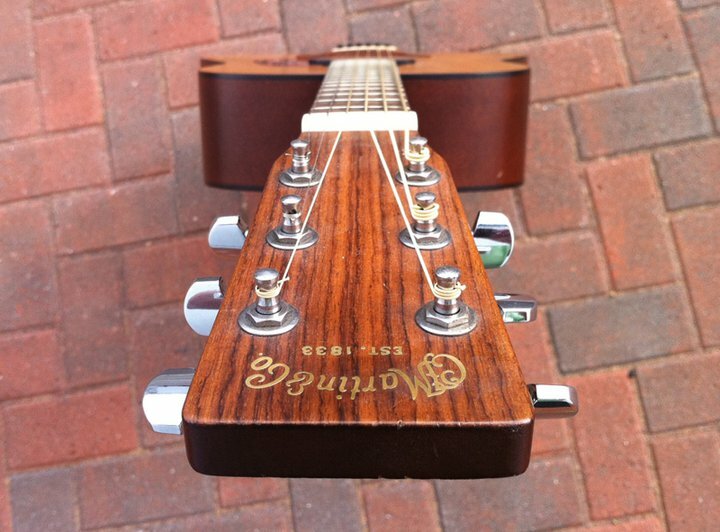 The solid spruce top gives it a great tone. Perfect intonation up and down the fingerboard.